We would like to thank the University of St. Andrews, UKIERI, the UGC, the British Council, St. Andrews Kirk Calcutta, Historic Environment Scotland and the Kolkata Scottish Heritage Trust (KSHT) for their help with the project. Particular thanks go to Dr Anindya Raychaudhuri and his team at St. Andrews University; Lord Charles Bruce, Mr Ian Stein and the trustees of KSHT; Dr Neeta Das; Rev. Andrew Simick and Mr Michael Pook of St. Andrews Kirk; Ms Clare Sorensen of Historic Environment Scotland; Ms Suruchi Pareek at British Council India; Mr Mriganka Sekhar Sarma at UGC; Dr Milinda Banerjee and Mr. Sanjib Chatterjee of Presidency University and of course, Mr Norman Hall of the Scottish Cemetery, Kolkata for all their help and inputs in relation to the project. Dr Milinda Banerjee has supported me staunchly by taking on the project co-ordinatorship and by being our consultant historian. Mr Chatterjee helped us with the initial technical framework. Lord Bruce and Revd. Simick helped us gain access to the cemetery and connected us with many key people who contributed to the project. Dr Neeta Das conducted two workshops with our team. Special thanks go to Mr Ian Stein who very kindly shared the data that KSHT had meticulously put together and connected us to BACSA members. We are also grateful to the BACSA members, Dr Richard Bingle and Mr David Blake, O.B.E, for their valuable advice on locating sources of information. We were kindly allowed to access the SCRAN database by the RCAHMS (now Historic Environment Scotland) through the good offices of Ms Sorensen who also spent considerable time sharing her experiences of working on the cemetery archives. Dr Margaret Makepeace, senior archivist of the British Library's India Office Records also helped us with information regarding one entry. The India Office Records were an invaluable source of information and our team was much benefited by the digitised records on FindmyPast.com. We are especially grateful to the Hon’ble Vice-Chancellor of Presidency University, Professor Anuradha Lohia, for her constant support and her very practical advice. The former Vice-Chancellor, Professor Malabika Sarkar, inspired us to apply for the grant and to start the project. We are grateful to all those administrative staff of Presidency University who helped the project to move smoothly and to reduce delays. We thank Professor Swapan Chakravorty for giving us an opportunity to showcase the project at an academic forum. Professor Amlan Dasgupta, of the School of Cultural Texts and Records in Jadavpur University, has also been a constant inspiration for the team. The students of SCTR helped us by testing the website and offering their suggestions as part of their DH coursework. The local and international press has also kindly highlighted our work and we thank them for their support. Our team is also grateful for and happy to have had the support, the enthusiasm and the industry of the members to back us up, whether it be by working long hours in archives, both online and offline, or wading through mud in the Cemetery to get GPS readings and struggling to read almost erased epitaphs. Thank you all. Supervised by Dr Souvik Mukherjee of Presidency University, where this project has been housed, the project has been completed by a combined team of students from Presidency University, students from other universities in Calcutta as well as independent researchers. See below for brief bio-notes of all the project members (alphabetically listed). Anish Mitra has completed a Masters’ Degree from the Department of History, Presidency University, Kolkata. His areas of interest include the social and intellectual history of colonial and post-colonial India,Indology, the history of Indian philosophy, and the history of visual arts of India. Angshuman Chakrabarty has completed his B.A (Hons) in English from Presidency University, Kolkata and has recently joined the Armed Forces of India as a cadet. Purba Hossain is a postgraduate student of History at Presidency University, Kolkata. Her academic interests include social and cultural history of colonial South Asia, history of Calcutta as a colonial capital, indentured labour, history of the Dutch in Bengal, cemetery studies, and Indo-European languages. She is Executive Editor of the Presidency Historical Review, and has been involved in a project on the history of the Dutch in Bengal. Sarbajit Mitra completed his M.Phil from the Department of History at Jadavpur University in 2014. He works as a research fellow in the collaborative AHRC project between University of Exeter and Jadavpur University, on ‘Famine and Dearth in India and Britain, 1550-1800: Connected Cultural Histories of Food Security’. His intellectual interests lie in the histories of colonial cities, cultures of the body, visual culture and post-colonialism. 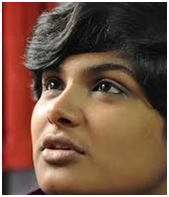 Seuli Mukherjee is a postgraduate student of History at Presidency University, Kolkata. Shalmi Barman completed her Bachelors degree in English Literature at Jadavpur University in 2014, and is currently in her final year of the Masters program at the same. Her interests include modernism in literature, feminism and popular culture, reception studies, and the history of the book. Shreya Ghosh has recently completed her M.A. in English Literature at Presidency University. Her interests range mainly around Postcolonial theory and literature. Dr Souvik Mukherjee is assistant professor in the department of English at Presidency University and the principal investigator on this project. His main interests are Videogame Studies, (the) Digital Humanities, Early Modern Literature and Literary Theory although he also teaches other areas of English Literature such as Romanticism and Modernism. 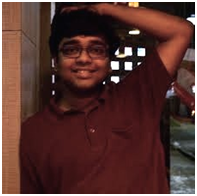 As a digital humanist, Souvik has managed and curated two projects, one on the Dutch Cemetery (http://dutchcemeterybengal.com) in Chinsurah and the present UKIERI project of which he has been the overall co-ordinator. Srijeeta Mitra is a content manager in Pricewaterhouse Coopers. She completed her Masters degree in English from Presidency University in 2014. She likes reading Feminist and partition literature. 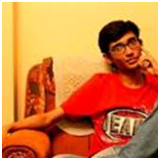 Sudipto Mitra is a postgraduate student at Presidency University, Kolkata, specialising in Modern History. His areas of interest include Indian indentured labour in the Caribbean islands and Mauritius, European settlements on the Ganges in early modern-modern Bengal, Brick temples of Bengal, history of the streets and localities of Calcutta, Indians in the First World War, sport as a socio-cultural form of expression and cemeteries in South Asia. 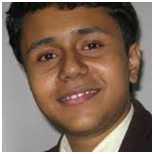 Sujaan Mukherjee is a PhD researcher at the Department of English, Jadavpur University. He is Project Fellow, for the "Envisioning the Indian City" project, a collaboration between Jadavpur University and University of Liverpool. He is also an Archival Fellow under the IFA, working with the Centre for Studies in Social Sciences' (Calcutta) archives. His interests include urban studies, feminism, and modernist literature, but it is amateur guitar skills and Aikido practice that keep him sane.